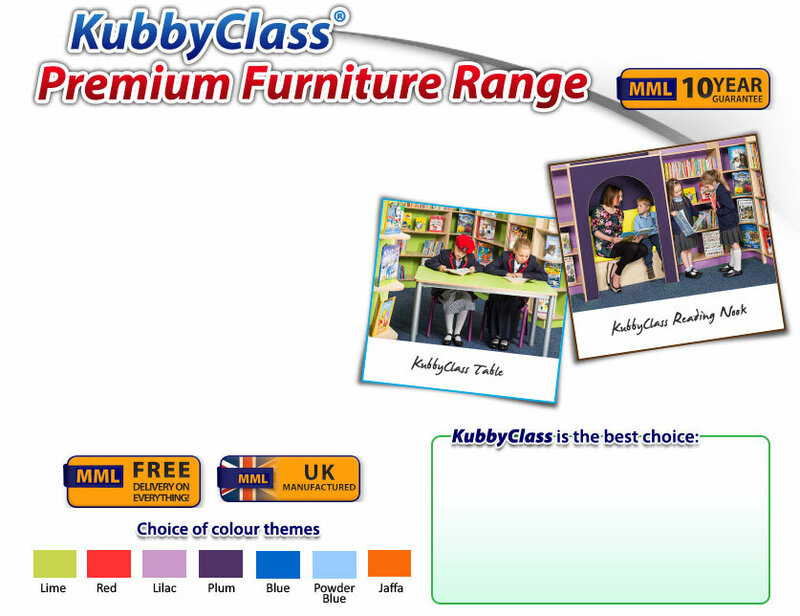 The KubbyClass furniture range is the ultimate range of premium classroom & library furniture. Equip your setting with matching bookcases, tables, tray storage & library seating in a choice of 7 themes. Designed & manufactured in the UK to extremely high quality standards, all units in the KubbyClass range carry a 10 year guarantee. • 18mm thick, solid construction. • Choice of 7 colour themes. • Full 10 year guarantee. • Designed for safety & functionailty. • Largest modular range available.